Posted by janina on March 9, 2009 at 6:43 pm. Not that long ago I was in the Netherlands with my papa where I had poffertjes for the first time. We had biked from Leiden to Delft, stopping in a small town on the way looking for a bike shop we had heard about. Instead we encountered a poffertjes man, and his giant cast iron poffertjes pan. And I mean GIANT, it’s the size of a large kitchen table, filled with perfect shallow pock marks for making perfect tiny pankcakes. Except they aren’t pancakes. As the very proud Dutchman lectured us, and several folks who lived in the town confirmed, poffertjes are very special, very dutch, and very not pancakes. Several things set them apart from pancakes. 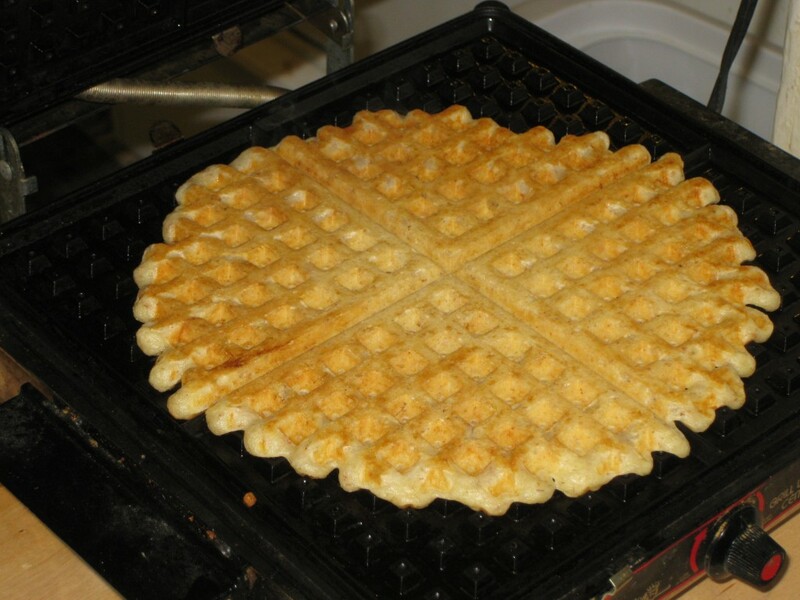 Most important is that it’s a yeast batter, next that they are made from a blend of flours (wheat, buckwheat, and rye), last (though certainly most impressive), that very few people own or are skilled enough to use a traditional, enormous, poffertjes pan. The Wikipedia article doesn’t seem to do them justice, claiming they are much sweeter than pankcakes (maybe the person who wrote the article hasn’t had American pankcakes? ), and definitely failing to make them sound impressive by any standards (“Poffertjes are not hard to prepare but a special pan is needed” please!) This person has obviously not watched a true poffertjes man flip hundreds of tiny poffertjes in a matter of seconds while serving and pouring them at an alarming rate. I actually have a pan very similar to poffertjes, and when I get my nerve and flipping speed up to par I hope to do a true poffertjes brunch. Until then, I settled on poffertjes inspired waffles. 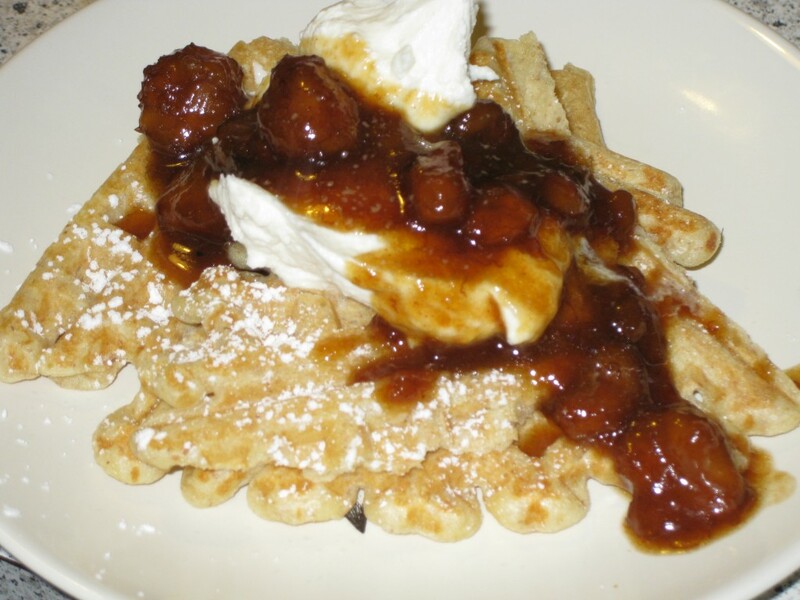 These yeasted waffles with blended flours are delicious, but nothing like poffertjes. They are incredibly yeasty, crispy, and light, holding up well under any sort of topping. You can even save the batter for up to two weeks, and it only gets better! In a large bowl mix the yeast and warm water and set aside while you heat the milk. 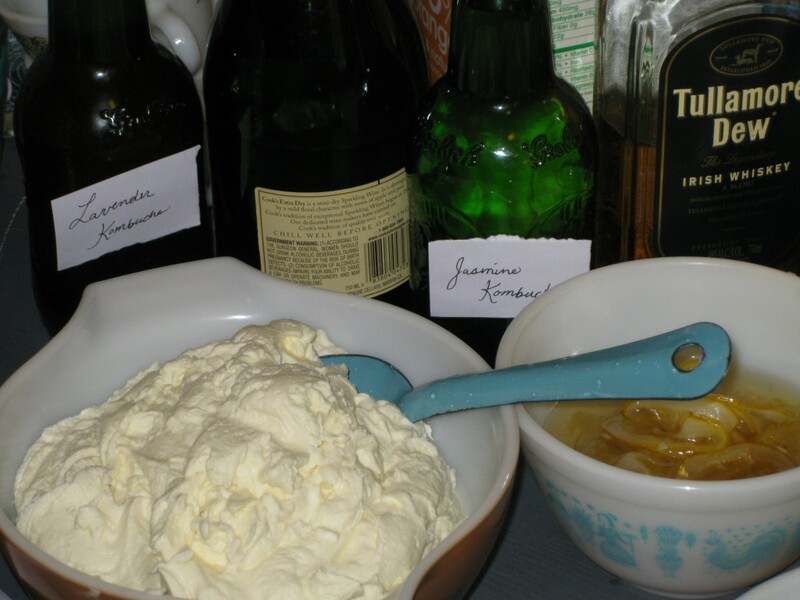 When the milk is warm but not hot, add it to the yeast mixture with salt and sugar. Melt and add butter, then sift in the various flours. My favorite is with 1/2 cup of oat flour and a 1/2 cup of pumpernickel. Mix well and set aside, covered until well risen, though preferably 24-48 hours. The longer you wait, the stronger and sourer the yeast flavor. after it is well risen, add the two eggs and 1/2 teaspoon of baking soda. turn on the waffle iron and go! With a large waffle iron we used 1 cup per waffle, and made about 6-8 waffles per batch. Enter your email address to subscribe to bramblings, or via the rss feed. Don’t Mourn, Organize! 4 Color Silkscreen Print NOW FOR SALE! © bramblings. All rights reserved.